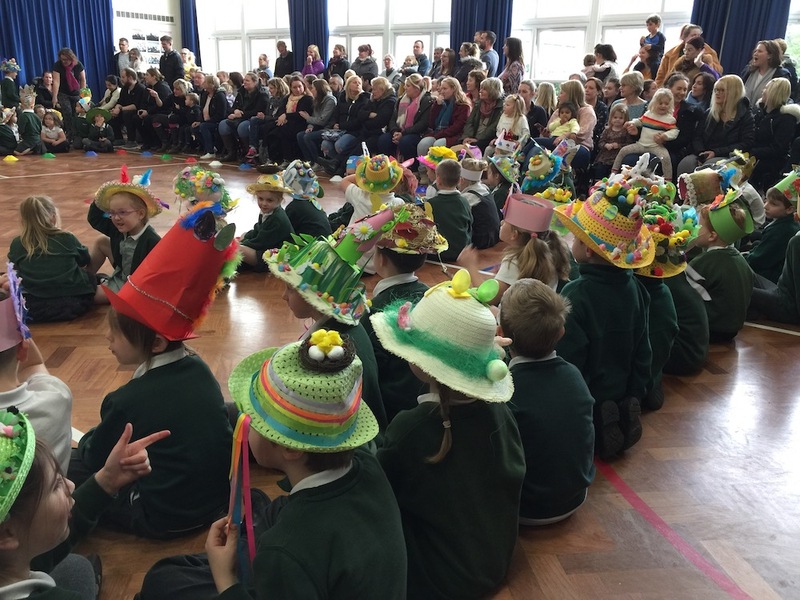 Foundation class winners show off their Easter bonnets. 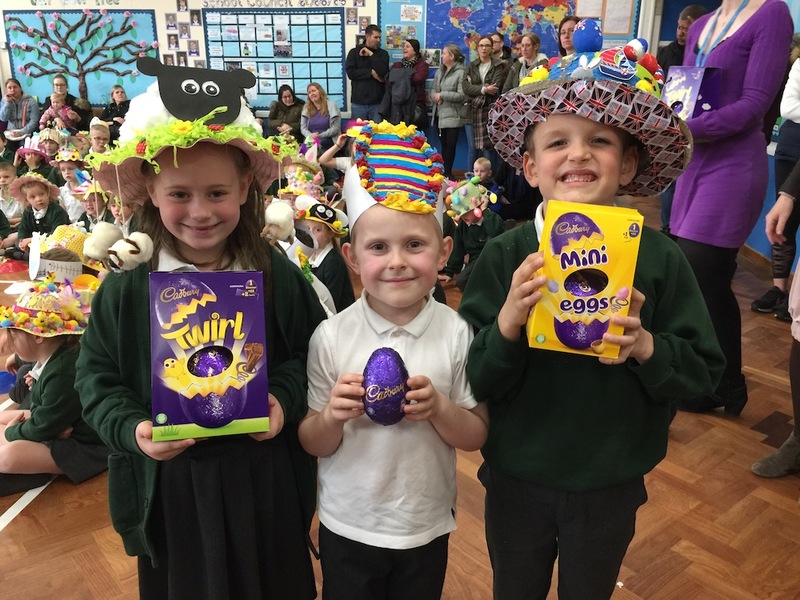 Annie, right, took first place, Sunni, middle, was second, and Indie, left, was third. 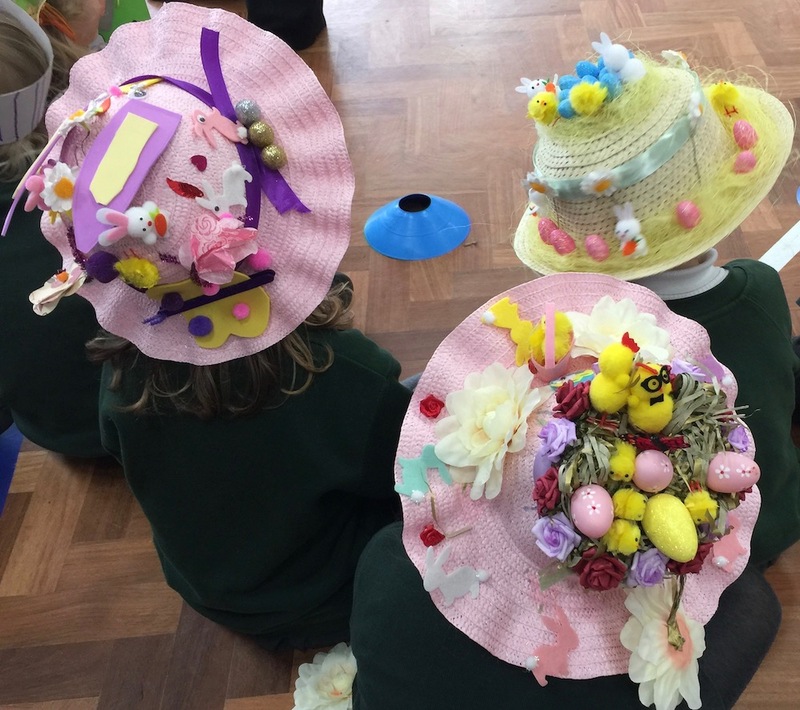 There were bees, chicks, rabbits, and more, nestled into straw and among flowers on pupils’ heads and assistant head teacher Sophie Whensley and art subject leader Lisa Eagle were given the tough job of choosing their favourites. 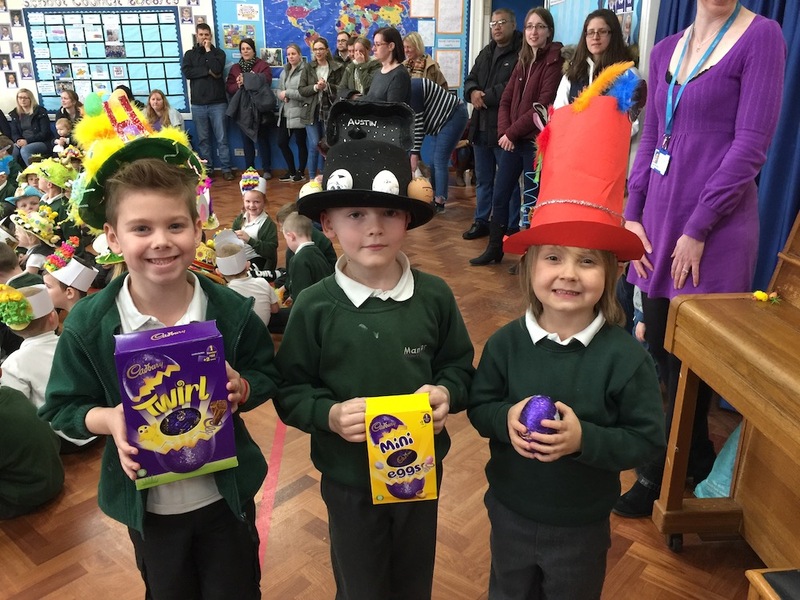 There were Easter egg prizes for three winners from each of Foundation, Year 1 and Year 2 classes. 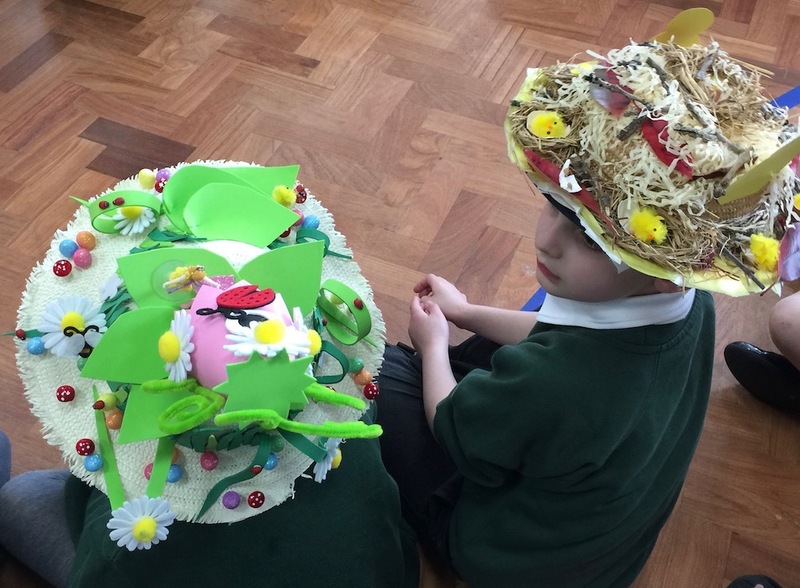 Year 1 Easter bonnet winners are 1 Imogen, left, 2 Isaac, right, 3 Luca, middle. 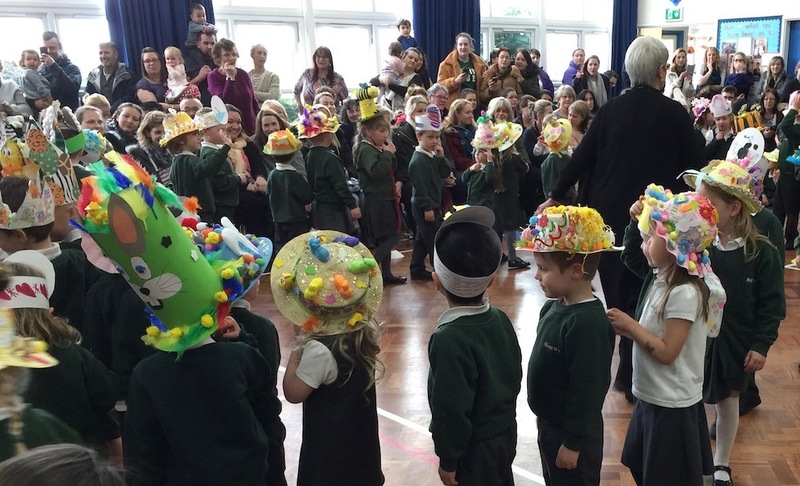 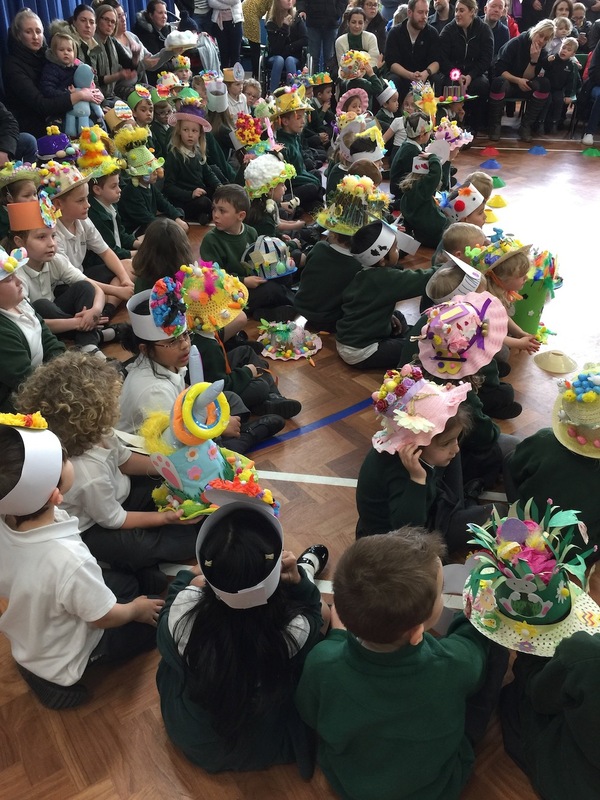 Children have been learning about Easter this term and the hats were first displayed at an Easter assembly earlier in the day. 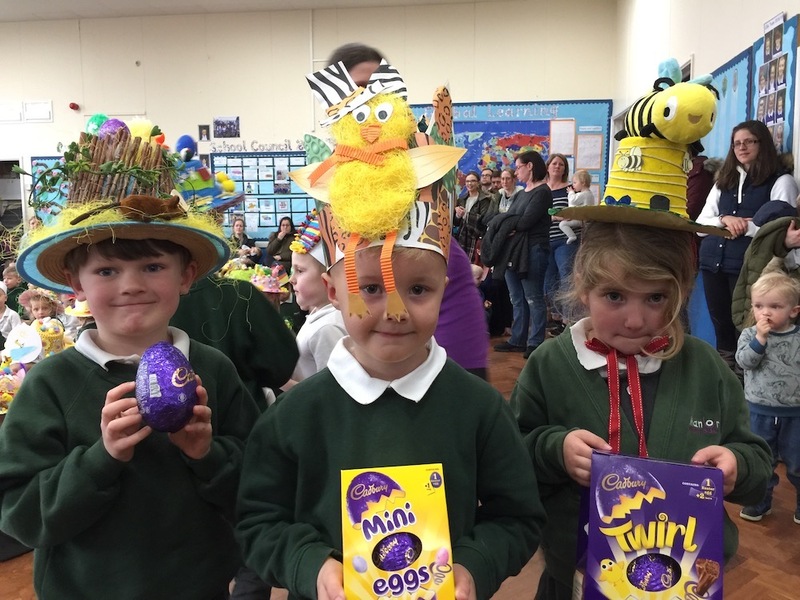 Year 2 Easter bonnet winners are from the left 1 Harvey, 2 Austin, 3 Titan.